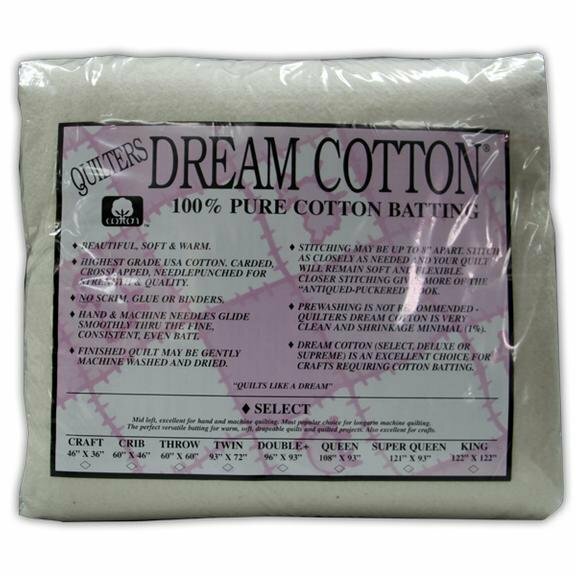 Quilters Dream 100% Cotton Batting - Queen size - 108 x 93 inches. This batting is soft, supple, and durable. Once you try it, you'll never want to go back to your old batting.